India, in its September 2010 edition, pp. 9-12. Original title: “The Philosophy of Patanjali’s Yoga”. life as lessons for the soul in the School of Nature. The word “Yoga” draws the attention of many. It is generally understood that it refers to bodily postures, breathing exercises, breath control and meditation techniques. The reasons for practice of “yoga,” assuming it to be nothing more than postures and breathing exercises, are several. Good physical health, a certain calmness of mind and reduction of stress, improving strength and stamina, are the few common motives. In addition, some enthusiasts go further and desire to develop psychic powers. The result is, we find many self-styled teachers and schools catering to public demand. Amidst these innumerable modern-age “teachers” and claimants, each proposing various techniques and practices, a serious consideration of the teachings of Sage Patanjali is of vital importance. Any technique or practice of yoga, without understanding the fundamental ideas, which are few in number, is as dangerous as the foolish experiments of the novice in chemistry who lacks sound understanding of chemical substances, their properties and interactions. Once we acquaint ourselves with the philosophy of the ancients, we cannot but reach the conclusion that today’s popular conception of “yoga” is a negation of the true Yoga inculcated by the sages. First and foremost, the nature of man is to be understood. The body, its senses and the brain are not the whole of man. They are just the instruments of an inner, Real entity. Our body and brain have undergone, and are constantly undergoing, innumerable changes since its birth. Even our ideas and emotional nature are under constant change. However, there is that identity, which is constant, unchanging through all changes, and the Perceiver of the innumerable perceptions. When we look back at our lives, we find that we have gone through myriads of changes, physically, intellectually and emotionally. Nevertheless, there is a witness of all the altering states of consciousness, Itself unaltered. This is our real Self. 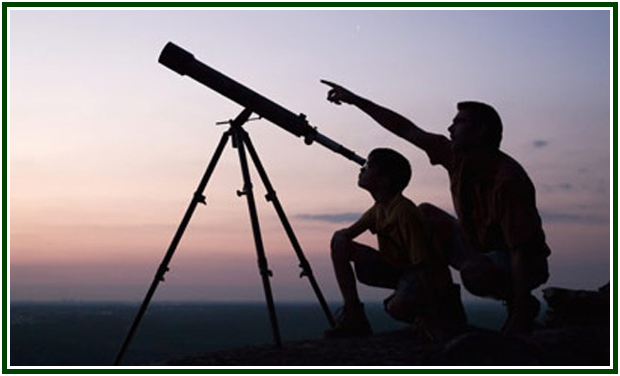 Just as an astronomer uses telescope to gain knowledge of heavenly bodies, we use mind, brain and body as instruments to come in contact with and experience nature. Now, viewing the subject in the light of these ideas as to what is the real nature of man, and his relation with the body that is transitory and impermanent, we find that any undertaking, which is a preoccupation with merely the body and breath, is a journey in wrong direction. Next, the characteristics of the mind are to be understood. Mind, the “thinking principle”, is an instrument that is modified by any subject or object that comes before it. It thus reflects to the soul the qualities and characteristics of the subject/object, and enables the soul to contact and experience nature. This involuntary modification is to be hindered, and the process of hindering is known as yoga. Once this is achieved permanently, yoga (or union) with the Imperishable Principle within us is accomplished. This practice has to be striven for in the daily and hourly performance of duties. The prime cause of all suffering and distress is confounding the Real and subsisting part of us with the transitory and perishable, so that we identify ourselves with our body, mind and emotions. This confusion is Ignorance. This misconception leads to wrongful acts, which will inevitably bring about pain in the future. The opposite of Ignorance is Spiritual Wisdom, i.e., the knowledge of one’s identity with Spirit, and this knowledge is the end of all suffering. The whole of universe, and everything contained in it, exists for arousing the spiritual discrimination latent in us. The latent powers of divinity in us can sprout, grow and bear fruits of knowledge only when it has been sown in dense matter of body and its limitations; and by contrasting experiences, learns to assert its freedom and reach self-knowledge. Wise is one who sees all experiences of life as lessons for the soul in the School of Nature. When we confuse ourselves to be the body or the mind, and thus act under this misconception, we create causes that will hinder our growth as spiritual beings. The seeds we have sown in the long past bear fruits in terms of our opportunities in life, pleasure and pain, happiness and suffering, good fortune and disasters. This is fundamentally different from our present understanding of life. The unquestioned assumption of today’s world is that we live only once, that we are here only for enjoyment, so one must satisfy one’s unrestrained desires at any cost! But we must understand that we are going to come back again, to reap the fruits whose seeds we are now sowing. “A harsh word uttered in past life is not destroyed, but ever comes again.”  Our present life, with its “fortunes” and “misfortunes,” opportunities and hindrances, friends and foes, is the making of ourselves. Also, our present actions and thoughts will determine our future conditions. Our true and real nature, therefore, must first be understood. Like a spark from fire, a drop from ocean, Soul arises from Universal Over-soul, and is essentially identical with it. Being essentially of spiritual nature, and being in touch with material nature, each of us have a choice to make: to choose and assert our inner divine nature by subjugating matter, or give in to the turbulent animal nature, thus divorcing oneself from Spirit. If our lower, material self takes the upper hand, it leads to perdition. But, if we are able to control our passions and desires and succeed in merging with the Divine Source we are able to reach a high spiritual state known as Isolation. This state is one of faultless spiritual vision and all-knowingness. There is a complete isolation from all illusions and delusions of matter. This is the assigned purpose and final destiny of each of us.